Consumer product designers and manufacturers must consider countless factors during the process of creating and bringing a new product to market, and life cycle biocompatibility cannot be overlooked. Biocompatibility refers to the capacity for a product to be used safely in its intended application by consumers, without eliciting any unwanted biological or toxicological responses. Such evaluations must consider hazards associated with materials used for the manufacturing process, as well as any chemical releases or exposures associated with intended consumer use. For products that will be in direct contact with the body and/or physiological fluids, hazard and risk assessment of leachable and extractable compounds is an essential component of any product safety strategy. Gradient has the technical expertise to develop test methods tailored to specific consumer products, as well as to analyze available chemical data and establish safe levels of exposure for assessing potential consumer risks. Lewandowski, TA; Cohen, JM. 2016. "Skin sensitization risk assessment: Considering available data for weight of evidence assessments (Letter)." Regul. Toxicol. Pharmacol. doi: 10.1016/j.yrtph.2016.09.007. Gradient assisted a client in establishing a product safety evaluation plan for a wearable consumer product. We established procedures for identifying chemical health hazards, determined proper analytical methods, and set appropriate detection limits for quantifying chemicals of concern in the product and its raw materials. Our analysis assisted the manufacturer in deciding whether to move forward with release of new products. Gradient evaluated the potential human health risks from incidental ingestion and dermal contact with benzene and ethylene glycol monomethyl ether detected in chemical extracts of a consumer product. We reviewed the scientific literature, developed exposure estimates, and estimated potential health risks associated with the exposure scenarios. We also identified potential toxicological hazards associated with qualitatively detected chemicals. Our analysis shaped the product's safety evaluation. 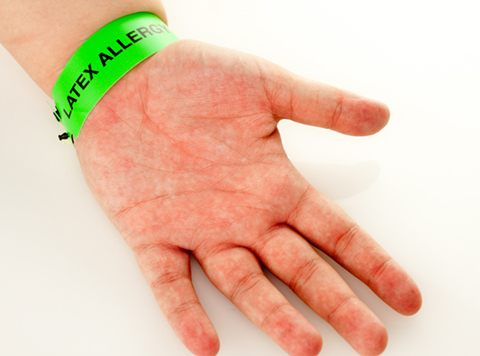 Gradient helped to identify an appropriate analytical testing strategy to confirm the presence of latex residue on a consumer product, and to identify and quantify the various constituent latex proteins on the surface of the product. Based on the results of the analytical testing, Gradient assessed the risk of potential skin sensitization associated with expected consumer-level exposures. Our evaluation helped the manufacturing company reach a decision about product safety.